All donations go directly to the charity. 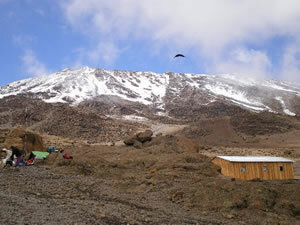 Swapping the leafy streets of Chiswick for the highest mountain in Africa proved quite a challenge for ChiswickW4.com's editor Emma Brophy, but one she will never forget. "Climbing Kilimanjaro is easily the toughest thing I've ever done," said mother of three Emma who has just returned from the trip of a lifetime along with friend and fellow Chiswick resident Jez Collins (below). 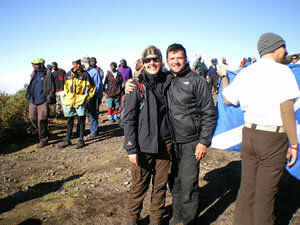 "Jez decided he wanted to climb Kilimanjaro a while ago and asked me to go along with him. I felt it was a fitting way to mark turning 40 whilst raising money for charity so I agreed. It turned out to be the best idea he's ever had!" Emma and Jez were amongst the 12 out of an initial group of 30 who made it to the top. "It was -20 degrees, blizzard conditions and pitch dark. We were moments away from being taken off the mountain conditions were so bad, at one point were were all huddled under an emergency shelter, it was frightening. 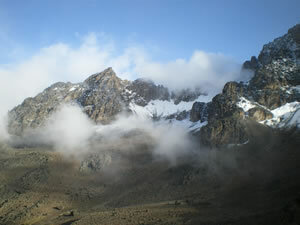 However we somehow managed to complete the nine hour climb from Kibo Huts and even though we couldn't see a thing through the snow, the sense of achievement was immense. 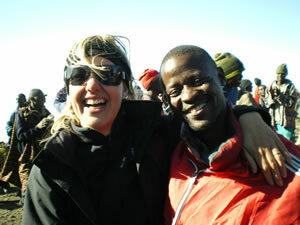 We were so elated, we even managed to invent a new form of Tanzanian skiing to get us back down the steep slopes." 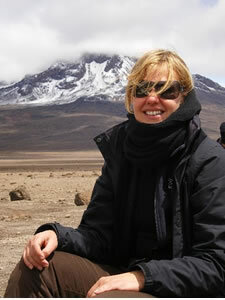 "But conquering Kilimanjaro was just one part of the journey. Meeting the porters who so cheerfully carried our tents, bags, food and medical supplies was without doubt the most humbling experience I've had. These incredibly hardworking conscientious men took such pride in their work for which they are paid very little [the group clubbed together to give them a generous tip to top up their salaries] and were genuinely delighted that we had come to enjoy their country. "The sound of their singing is something I will never forget although my fellow trekkers were glad I could never quite remember the words and had to ask our guide to sing for us!" 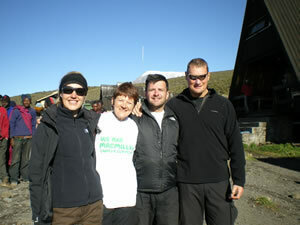 Between them Emma and Jez have raised over £8,000 for Macmillan Cancer Support. "We both wanted to raise for Macmillan for reasons very close to our hearts," said Emma. "I've been working with the Chiswick branch of this amazing charity for years now and they do really great work. It was a real privilege to be able to make such a significant donation but we couldn't have done so without the support of our wonderful families, friends and business colleagues who have all been so incredibly generous. "Both Jez and I would like to say a huge thank you to every who supported our fundraising campaign by coming to our Beatles Party Night, The Rocket Comedy Night, those who have made a donation on the Justgiving site and those who agreed to have an Oliver Finn sponsorship board outside their homes, your support has been fantastic and much appreciated."